Fabric Long férfi parka kabátThis Fabric Long Parka Jacket has a thick padded construction with stylish outer, featuring a full zip fastening with snap fastening overlay, long sleeves with internal ribbed cuffs, a hood with drawstring and faux fur trim, four outer zip pockets, a zip fastening pocket..
Pierre Cardin férfi kapucnis parka kabátThe Pierre Cardin hooded parka jacket will keep you dry during those wet winter months. With its padded hood and body lining construction the coat is packed full of features which include, full front zip fastening, two open front hand pockets and two chest po..
Pierre Cardin férfi kapucnis parka kabátThis Pierre Cardin Hooded Parka Jacket is crafted with full zip fastening and long sleeves. It features a drawstring adjustable hood and is a 3 pocket design. This jacket is a padded construction in a block colour. It is designed with an embroidered logo and ..
SoulCal Fisherman férfi kabátThis SoulCal Fisherman Jacket is crafted with full zip fastening and long sleeves with ribbed trims for comfort. It features a drawstring adjustable hood and is a 4 pocket design. This jacket is designed in a block colour and is complete with iconic SoulCal branding.> Ja..
Parka Jacket by Firetrap Blackseal> Premium jacket> Full zip fastening> Popper fastening overlay> Padded construct> Toggle adjustable hood> Touch and close fastener wrist cuffs> Internal toggle waistband> 2 front popper fastening pockets> 2 front zip chest pockets> 1 internal zip pocket> Firetrap Bl..
Firetrap Abode férfi kabátThe Firetrap Abode Jacket is designed with a thick padded construction which makes it ideal for wearing in colder weather, featuring a woven outer, fleece lining, full zip fastening, long sleeves with ribbed cuffs plus touch and close adjustable cuff straps, a hood with dra..
SoulCal férfi parka kabátThis SoulCal Parka Jacket is crafted with full zip fastening and long sleeves. 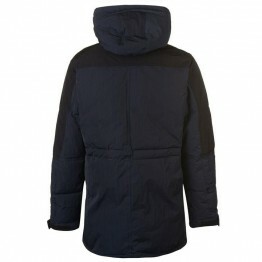 It features a fur lined hood as well as 2 button fastening pockets. This jacket is a block colour design with an embroidered logo badge and is complete with SoulCal branding.> Parka jacket> Full ..
Karrimor férfi parka kabát Enjoy warmth in style in the Karrimor Parka Jacket, crafted with a full zip fastening with chin guard and outer placket, up to a high neck and full hood with faux fur trim, plus full length sleeves with popper adjustable wrist cuffs and two popper fastening hand pockets..
RFC Parka Jacket Mens This RFC Parka Jacket is designed with full zip fastening and a hood with a faux fur trim. It has long sleeves and is lined. This jacket has both zipped and buttoned pockets and is a block colour design. It has an embroidered club crest and is complete with RFC branding.> Jac..
Lee Cooper férfi kapucnis parka kabátThis Mens Lee Cooper Hooded Parka Jacket has been crafted with mid-weight filling to help keep you warm without too much bulk, whilst the jacket has five pockets including four external ones for easy access to your belongings. 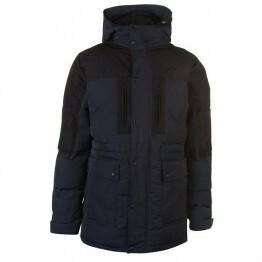 The jacket has a pull cord waist w..
NUFC férfi parka kabát This NUFC Parka Jacket is designed with full zip fastening and a hood with a faux fur trim. It has long sleeves and is lined. This jacket has both zipped and buttoned pockets and is a block colour design. It has an embroidered club crest and is complete with NUFC branding.> ..